The percentage of women involved in free and open source software is very low. This is a well-known fact, yet the groups that should be open and welcoming are often those who, subtly and not-so-subtly, often send out messages that are far from welcoming. 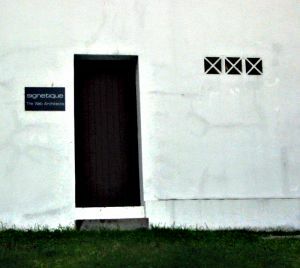 A few days back, I came across the following pictures at the site of the Linux Professional Institute, an organisation that offers certification in Linux at various levels. The subliminal message sent by the pictures is pretty strong. Take the plug for the lowest level certification, LPIC1. It has a picture of a woman (above) accompanying it. The plug for LPIC2 has a picture of a black man. But the plug for LPIC3, the highest level, has a white man as its face. The Linux distributions are all made from various software packages, each with a different set of maintainers, with a different set of values and agendas. While each group has given their software and their efforts to the open source community, each group is just a little bit different. It is in these differences that our love of minutia starts to show through. Some people don’t like the default Ubuntu desktop, so they clone Ubuntu and add a slightly different desktop and release it as a new derivative. This is good because it brings new ideas into the fold, and shows how things can be done just a little differently. However, each time this happens it also fragments the community just a little bit more. Is this good or bad? Depends on how you look at it. Google is eyeing IBM’s Power processors for the servers that power its services. Amazon is reportedly pondering custom ARM-based chips for its cloud servers. Add it up and the big cloud guns—the companies that will likely power most of the infrastructure that’ll be rented by the enterprise—are hedging their Intel bets. AMD has now revealed their newest APUs, codenamed “Beema” and “Mullins” while their Linux fate remains unclear. The AMD “Beema” APUs are targeted for mobile products like notebook PCs while AMD Mullin APUs are low-power processors for ultra low-powered devices. The low-end Mullin APUs sport Radeon R2/R3 Graphics. Linus Torvalds, the principal force behind development of the Linux kernel and overseer of open source development for the Linux operating system, has been named the 2014 recipient of the IEEE Computer Society’s Computer Pioneer Award. Linus Torvalds has just released the third Release Candidate in the new Linux kernel 3.15 branch, which is now available for testing. The Linux kernel development is going as planned, and it seems that the weekly development cycle has returned to normal. After a couple of crazy first releases, the third iteration of the kernel has calmed down and there are no more surprises. The ABI break was attributed to a “temporary mistake of changing the function return type as a bug” so that existing drivers retail API compatibility with the new X.Org Server version, with the most important driver to Keith Packard as the X.Org Server maintainer being that of his employer — the xf86-video-intel driver. NVIDIA has already been working on X.Org Server 1.16 support for their proprietary driver but this event has thrown an issue into their handling of their new support. Cherryview is expected to be released before the end of the year and will feature an Airmont processor, which is the 14nm shrink of current-generation Silvermont processors in the mobile space. When it comes to the graphics, while Valley View / Bay Trail had “Ivy Bridge” class graphics, the Cherryview hardware is based around Broadwell — including its “Gen8″ graphics. Riding off Broadwell, most of the open-source hardware enablement for the Cherryview graphics under Linux is straight forward and not too invasive. Ubuntu offers three ways to launch the operating system without hurting Windows. Two of these options require a bootable Ubuntu CD or flash drive, so I’ll first discuss how to set up those devices. Nuclear Throne is quickly becoming a favourite game of mine, I did a short video for you recently and it’s time I did another showing off the awesome music and sound effects included on this new release. Mutant Factions Hits 1.0, An Interview With The Developer! The Last Tinker: City of Colors, Mimimi Productions’ upcoming platformer, will arrive on Steam May 12 for Linux, Mac and Windows PC, publisher Unity Games announced today. Don’t let the cartoon visuals fool you. Being a RGB Agent requires some good skills. A rather fun looking game now has a Linux version! For all the retro gamers out there, Rabbit Hole 3D: Steam Edition is a newly released game for Steam for Linux. The game is a minimalistic retro style puzzle, like the good old days of yore, complete with a catchy retro chiptune soundtrack that is sure to take you back to your childhood. The game’s interface is designed to give you the retro vibe. The game is basically a move up, down, left and right game like the classic Frogger but here you dodge words instead of traffic. You are represented by a single block, staying true to the retro formula. I say Krita should be a number one tool considered to any digital painter, whether one is a beginner or an advanced professional. So now when I’m faced with a project where I need to paint something and know it will have to be printed, Krita is my number one choice. Especially when it is a real pleasure to paint in it. And that is how Bstudija came to use open source tools like Krita to accomplish some projects. As the name suggests, Moka Gnome Shell Theme is a pretty theme for Gnome Shell (and Unity). Getting Things GNOME: Summer is coming! The status quo of Getting Things Gnome heavily depends on generic backend & local xml database for different third-party services. The class generic backend is inherited by backends for different services. This makes it quite difficult to add new services independent of generic backend, and maintain the core modules, including generic backend, independent of backend service sub classes. “The team has made a huge effort to make this one of our best releases yet. Since the OpenELEC 3.0 and 3.2.x releases, we have worked hard to improve OpenELEC in a number of areas. Some of these are visible changes, others are backend changes that aren’t as visible to every user but are certainly worth mentioning,” reads the official announcement. In today’s Linux news are several Ubuntu topics ranging from a review to a Shuttleworth interview. In other news, Red Hat is still struggling on Wall Street, but there’s cause for optimism. And finally, The Telegraph published a review of The Samaritan Paradox. When I’m not traveling, I take the kids to school. I’ve learned to use commute time as efficiently as possible. So, after dropping off the kids, I use my 30 minute commute to take/make calls (don’t worry, I use a hands-free set in my car). If you think about it, time spent commuting – whether driving to the office or waiting in lines at the airport – is often time wasted. I try diligently to preplan those times to make the most use of them. In fact, I spend time in the security lines at airports reading articles I’ve saved using Pocket – a great browser plug-in/app to save web content to read later. While the xorg-server and latest DDX now support not running with root rights, it’s still being done anyhow by default. Most display managers aren’t yet ready for supporting the X.Org Server running as a user. Hans shared the re-based X.Org for Fedora Rawhide via this mailing list announcement. Debian has removed their SPARC CPU architecture support from Debian 8.0 “Jessie” testing and it might also be removed from Debian unstable as well. The Debian project is pleased to announce the fifth update of its stable distribution Debian 7 (codename wheezy). This update mainly adds corrections for security problems to the stable release, along with a few adjustments for serious problems. Security advisories were already published separately and are referenced where available. The results of the General Resolution about the code of conduct is that the code of conduct is accepted and updates to it should be done via an other General Resolution. As of tonight, there is no more SPARC in testing. The main reasons were lack of porter commitments, problems with the toolchain and continued stability issues with our machines. Technologic announced a tiny, open spec SBC that runs Linux on Freescale’s i.MX286 SoC, supports industrial temperatures, and draws as little as 0.5W. The “TS-7400-V2″ single-board computer is a lower-cost, faster, drop-in replacement for the first-generation TS-7400, says Technologic Systems. The single board computer maintains the earlier model’s 4.7 x 2.9 x 0.8-inch dimensions, general board layout, and Debian Linux OS support, says the company. Version 1.0 of the Tails (“the amnesic incognito live system”) distribution has been released. Tails is a Debian-based distribution intended for anonymous access to the net. The 1.0 release evidently brings few new features; the point, instead, is to indicate that Tails has reached a new level of stability. As a reminder, the Debian developers have decided earlier this year to use systemd as the default init service manager on Debian Jessie and so, Canonical’s Mark Shuttleworth has announced that Ubuntu will also replace Upstart with systemd, due to the fact that Ubuntu is a Debian derivative system. The Ubuntu developers have already started working on the next Ubuntu version, and the first development images have been produced. Don’t expect too much from the new Ubuntu build, at least not yet. It will be a couple of months until some major changes are visible. Canonical says it is working to fix a problem that’s crippling some Ubuntu PCs after they’ve been upgraded to the latest version of the Linux distro. A spokesperson for the company told The Reg it is aware of a “small number” of “power users” are seeing their PCs crash following the move to 14.04. Ubuntu for Android sounds like a great idea. According to the official website, Ubuntu for Android provides a full desktop experience, including office software, web browsing, email and media applications, on Android phones docked to a screen and keyboard. Canonical didn’t put too much effort in this project after it was officially announced and besides a vague late 2012 launch date, there is not much information about it. Users don’t even have access to a Beta and they can’t really test it. According to an entry in Launchpad by an interface designer for Canonical, Matthew Paul Thomas, the Ubuntu for Android is no longer in development. “Security Profile for Wind River Linux” is sort of a Yocto Linux complement to Wind River’s Wind River Solution Accelerators for Android, Security. It appears to build upon the company’s military-focused Wind River Linux Secure, but with a broader focus that is particularly aimed at Internet of Things security. Avnet released two new, Linux-ready MicroZed COMs, one of which supports industrial temperatures, as well as the first MicroZed SBC, all based on Zynq SoCs. The Linux Foundation will be announcing tomorrow that AMD and Mentor Graphics are partnering up with the embedded Yocto Linux project as advisory members. I’ve been informed (and free to share now) that tomorrow the Linux Foundation will be announcing from the Embedded Linux Conference that AMD and Mentor Graphics have decided to join the Yocto Linux project in an advisory role. Banana Pi is a single-board computer (SBC) made in China. It can run Android 4.4, Ubuntu, Debian, Raspberry Pi and Cubieboard Image. Despite the name, Banana Pi is unrelated to the Raspberry Pi. The Banana Pi is designed to be mechanically and electrically compatible with Raspberry Pi add-on modules with its 24-pin header layout. It comes with a dual-core, Cortex-A7-based Allwinner A20 SoC (system-on-chip) running at 1GHz. That’s much faster than the Raspberry Pi’s 700MHz, ARM11-based Broadcom BCM2835 processor. It also includes a more powerful Mali-400 GPU. The Banana Pi comes with 1GB of RAM and built-in Ethernet that can handle up to 1Gbps. That’s 10 times as fast as the Raspberry Pi. This brand-new SBC also includes a SATA port and a micro-USB port. It’s, at 92 x 60mm, a trifle larger than the 85 x 56mm Raspberry Pi. Tizen already is fully developed as an operating system and deployed in numerous product lines. They typically have the word “smart” in their name — you know, things like smartTV, smartphone, smartwatch, smartcamera and yes, smart refrigerator. It can be found in in-vehicle infotainment systems as well. “Tizen has been used in products for a long time before it was even formally announced,” Brian Warner, director of client services and operations at the Linux Foundation and manager of the Tizen Project, told LinuxInsider. If the word Wipeout sets your adrenaline high and your ears to cool electronic music, then this might be the news for you. Flashout 2, an anti-gravity, fast paced racer, is finally here for Android from Jujubee S.A. As you may already know, Wipeout is a highly acclaimed racing series that features some of the best fast paced racing in the gaming history. In the game, you ride your high speed anti-gravity ship that can be outfitted with various weapons to outrun and decimate your opponents. Though you may know and follow basic security measures on your own when installing and managing your network and websites, you’ll never be able to keep up with and catch all the vulnerabilities by yourself. Mozilla has released Firefox 29 (stable) today. The new version includes a new user interface known as Australis, along with many other changes. All the supported platforms have received this new update, but this is a maintenance build that’s mostly about bug fixes, which means that it fits perfectly in what has been made available so far, with no major surprises. “LibreOffice 4.1.6 is the last release of the LibreOffice 4.1 family, targeted to large deployments in enterprises and public administrations, which should always be supported by TDF certified developers. Today, we users can choose between LibreOffice 4.2.3 Fresh, targeted to early adopters and technology enthusiasts, and LibreOffice 4.1.6 Stable targeted to enterprise deployments and conservative users,” said Florian Effenberger, TDF executive director. “LET’S do it again,” calls a ten-year-old. Once more, pupils clasping printed numbers follow tangled lines marked with white tape on the floor of their school hall. When two meet, the one holding the higher number follows the line right; the other goes left. Afterwards they line up—and the numbers are in ascending order. “The idea is to show how a computer sorts data,” explains their teacher, Claire Lotriet. For the first time, the Linux Foundation’s SPDX Workgroup is geared up to participate in the 2014 Google Summer of Code internship program. The goal was to engage students in open source projects, learn a bit about open source compliance, and meet open source community members. We had excellent responses in our first year, with a total of four projects accepted from three different universities. The Ada programming language that’s common to this day among embedded and real-time systems now has support for compiling to 64-bit ARM by the GNU Compiler Collection. Albania’s Minister of Social Welfare and Youth is supporting the country’s first open source conference, taking place this weekend in the capital Tirana. Albania’s new government is strongly influenced by the free software and open data movement, explains Minister Erion Veliaj, who will inaugurate the conference on Saturday. When Bunnie Huang firstannounced the Novena laptopback in December 2012 it was like an early Christmas present to hackers the world over. This was true even though there was only a suggestion that, given sufficient demand, a limited number maybe made available. If you like fun projects like these involving Linux, please read on and join in my birdy obsession! The US secretary of state, John Kerry, has warned in a closed-door meeting in Washington that Israel risks becoming an “apartheid state” if US-sponsored efforts to reach an Israeli-Palestinian peace settlement fail. In an apparent sign of Kerry’s deep frustration over the almost certain collapse of the current nine-month round of peace talks – due to conclude on Tuesday – he blamed both sides for the lack of progress and said failure could lead to a resumption of Palestinian violence against Israeli citizens. The crisis in Ukraine and the steadily dropping temperature in relations between Moscow and Washington made many talk about a new Cold War; and many others are worried it may turn ‘hot’. But there’s another war going on right now: the information war. US Secretary of State Kerry has already attacked RT, calling it “Putin’s propaganda machine.” But Washington itself uses dubious evidence and fake facts. What is the information war? What methods is America using? Sophie talks to Pulitzer Prize-winning journalist and veteran correspondent Chris Hedges. For the US fracking industry – and for Vice-President Joe Biden – fracking is more than just a way to bring in vast amounts of cash, writes Steve Horn. It’s also a key weapon in the US’s long war with Russia, as Biden made clear this week in Kiev. A fuel buried under the deep ocean bed off Britain and Ireland could provide a plentiful supply of energy but will be difficult to exploit, an expert said. So now you might have to buy your own crutches, but you’ll get your shotgun subsidised by the state. A few days after it was revealed that an NHS group is considering charging patients for the crutches, walking sticks and neck braces it issues, we discovered that David Cameron has intervened to keep the cost of gun licences frozen at £50: a price that hasn’t changed since 2001. The police are furious: it costs them £196 to conduct the background checks required to ensure shotguns are issued only to the kind of dangerous lunatics who use them for mowing down pheasants, rather than to the common or garden variety. As a result they – sorry, we – lose £17m a year, by subsidising the pursuits of the exceedingly rich. It appears as though Google run YouTube is targeting popular channels that promote freedom and liberty by deleting them and all their content off it´s servers. In the past we have seen this happen to Russia Today a very popular english speaking news channel having their youtube channel cancelled twice and a Ron Paul promoting channel also deleted. In a similar but separate case, the same judge then upheld the death sentences of 37 of 529 men he notoriously ordered to hang last month, bringing the total number of death sentences to 720. The remaining 492 had their sentences commuted to 25-year jail terms. All cases are subject to further appeals. More than 90 percent of American adults own a mobile phone, and more than half of the devices are smartphones. But “smartphone” is a misnomer. They are personal computers that happen to include a phone function, and like any computer they can store or wirelessly retrieve enormous amounts of personal information: emails, photos and videos; document files; financial and medical records; and virtually everywhere a person has been. Nokia is currently being buried with yet “more revisionism”, as iophk calls it. Writers at CNET (part of CBS) are not blaming Microsoft and Windows, only blaming or accusing in hindsight what was actually working out much better (Linux). Since Android (Linux) is now victorious we know that Nokia had much better options, but CNET reports give Elop (the Microsoft Trojan horse) a platform and one article is titled “Microsoft’s Elop: Nokia brand soon to vanish from smartphones” (so much for loyalty to Nokia). Nokia is soon going to be just a pile of patents for trolls to tax phones with, especially Android phones (Nokia and Apple have patent peace and Nokia is becoming part of Microsoft). Microsoft has already fed some of these patents to trolls. It is easy to see what Apple and Microsoft are trying to achieve here. Microsoft has hidden its financial problems for a number of years and Apple too is going down the same route. 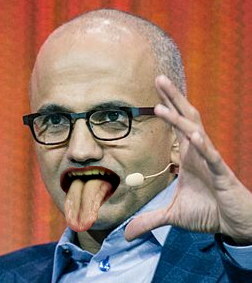 Android is eating Apple’s lunch and Microsoft is not even a contender, so Microsoft is passing prohibitive costs to Linux-powered phones, through trolls and partners such as Apple. It’s a strategy known as patent-stacking and it should be treated as a antitrust violation. Techdirt recently wrote about the ever-growing flood of patents being granted by the USPTO. As we’ve emphasized, more patents do not mean more innovation; nor do they necessarily lead to greater overall benefits for business. That’s clear in an important new paper from a team including James Bessen, whose work has been mentioned here several times before. It builds on the approach described in the 2008 book “Patent Failure” by James Bessen and Michael Meurer, and seeks to estimate both the private costs and private benefits accruing from patents in the US during the years 1984 to 2009. SEVERAL years ago we wrote a lot about CPTN. As we explained CPTN at the time, it was the passage of Novell patents to Microsoft after Microsoft had bribed Novell to stop competing against Microsoft and instead damage everything GNU/Linux by casting the shadow of Microsoft patents. There are many other things that Microsoft’s bribery had achieved, such as OOXML promotion, Silverlight promotion, .NET promotion, Hyper-V promotion, etc. Novell basically became an extension of Microsoft, whereupon we called for a boycott of Novell. WordPerfect was acquired by Novell and this case does the software a great disservice and injustice. It shows, once again, that Microsoft is able to get away with crimes as long as it can drag its accusers through the mud, driving them to bankruptcy or simply bribing them (Microsoft bribed numerous companies in recent years to not challenge Microsoft’s criminal racketeering strategy). Development for Microsoft is silly at best and irresponsible by most assessments that take into account Microsoft’s criminal track record and role in espionage. Harry McCracken, a Microsoft-bribed booster who has worked with Microsoft development tools, is currently propping up the idea that BASIC is what “Made Computers Personal” (published in widely-distributed corporate press). This is revisionism — the kind of revisionism that helps Microsoft portray itself as the ‘inventor’ of PCs. We should reject such Gates-led revisionism. The truth is, Microsoft and Gates stole, sabotaged, and subverted personal computing. In the public sector, Gates and Microsoft still turn computers into surveillance devices (used against their so-called ‘users’) and based on these new announcements from Microsoft, lobbying by Bill Gates (pressuring politicians and pulling strings) leads to yet more government subsidies for Microsoft, including the use of teachers as agents of indoctrination for Microsoft (or salespeople of Microsoft). This isn’t only outrageous; it should be treated as corrupt and even criminal. 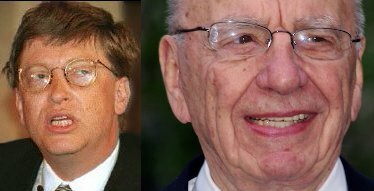 As many politicians are badly informed about the true role of Bill Gates in computing, the lobbying works. As promised, we are now tracking the Unix-friendly Roslyn port on Mono’s GitHub Organization. IT HAS long been known that Microsoft and the NSA work together and share information about back doors, voluntary or involuntary. Any government that still uses Windows is leaving itself vulnerable to espionage and sabotage like Stuxnet. It’s a strange mystery that many governments still have Windows in their networks. Technically it makes no sense and strategically it’s suicidal. “Even when a flaw in OpenSSL was found and reported it had already been patched by all the major GNU/Linux distributions. It hadn’t yet been patched by Microsoft and Apple.”Feds are genuinely concerned about this based on the Canadian and the US corporate press, not just because Microsoft will leave Windows XP vulnerable but because at present every version of Windows is vulnerable and there is no fix. Since it’s proprietary software, nobody other than Microsoft can create a fix, either. This latest back door shows that moving to GNU/Linux makes the most sense. Even when a flaw in OpenSSL was found and reported it had already been patched by all the major GNU/Linux distributions. It hadn’t yet been patched by Microsoft and Apple. For those who think that Vista 8 (or 8.1) is going to offer some kind protection, mind this unfavourable new analysis. To quote just one bit: “Before shutting down, I manually told it to check for updates. It found one. The description says “Windows 8.1 Update”, and the accompanying text says the stuff about you must install this update to ensure that your computer can continue to receive future updates. So, was my HP updated or not? According to the test described by Microsoft, it was; but according to the Windows Update that is waiting to install, it was not.